Upon discovering mold in your home or building, it can be stressful to handle, especially when your to-do list is already filled with other issues that demand your attention. However, this is not something to be set aside for the time-being; it must be treated as soon as it is encountered. In addition to the structural damage it will cause to your building materials, it can cause severe health issues for those who are sensitive. ServiceMaster by Crossroads must be called for professional mold remediation services if you live or work in the Greenwood, IN area. Our technicians specialize in mold removal, using advanced products and equipment to eliminate it while preventing it from returning in the future. For mold remediation services in the Indianapolis, IN area, call ServiceMaster by Crossroads at 317-215-5199. 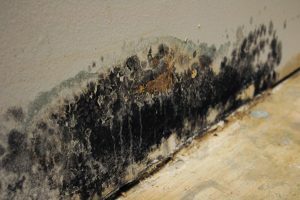 As mentioned before, treating mold is not something to be pushed off to the side. As soon as it develops in a specific area, it will eat away at its host – your building materials – and continue to affect other surfaces. When reproducing, it disperses its spores into the air that will latch onto new surfaces, consuming additional materials over time. One of the best ways for mold spores to travel once they are dispersed is through the air duct system. When released through the air supply and return registers, they can easily become inhaled or come into contact with eyes. This can trigger severe health problems, such as rashes, coughing, breathing problems, sneezing, itchy eyes, runny nose, and other allergic reactions. When called for mold removal services, ServiceMaster by Crossroads will arrive in a timely manner to identify and contain all affected areas to prevent the spores from spreading. We will then work to have all cases removed at their source with professional products and equipment, preventing them from returning in the future. Once the mold has been removed, the building structure will be fully restored to its original condition. Our technicians are also able to replace the material if the surface has been damaged beyond repair. Turn on all fans and the air conditioning unit to air out the property. Wipe down any walls containing condensation. Wear protection whenever present around mold. Inspect the air duct system within the property. Dry off any wet items that are not already moldy. Do not put a fan directly in front of the mold. Do not touch the mold without proper protection. Do not paint or caulk over any moldy surfaces. Containment of the affected areas to prevent the source from dispersing additional spores. Effective mold removal with advanced technology and products. 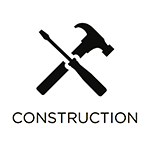 Restoration or replacement of all building materials. While mold is an annoying occurrence, it is not an issue to be taken lightly. As soon as you discover it on any surface of your property, call ServiceMaster by Crossroads. We are available in the Greenwood, IN area at (317) 215-5199 for professional mold removal.